A LEGEND IN HIS OWN LIFETIME AND BEYOND. 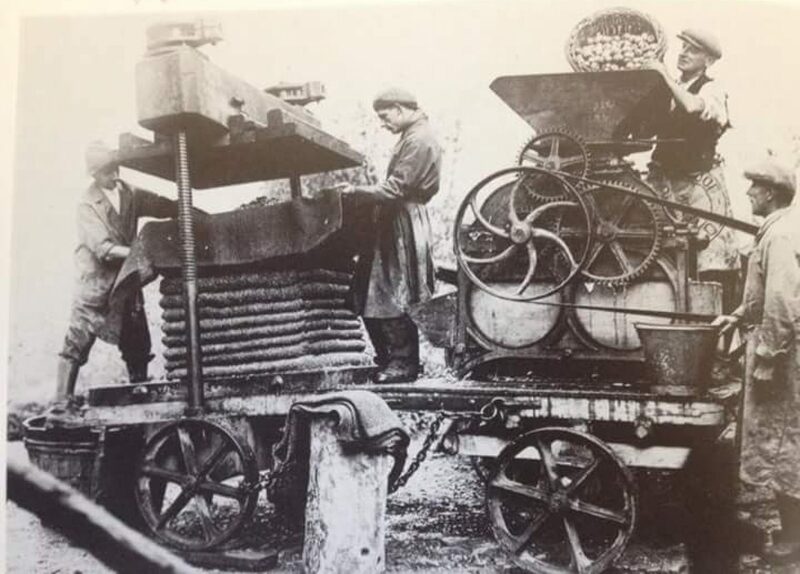 JOLTER IS BELIEVED TO HAVE WORKED AT WATERLOO PIT, LYDBROOK, IN THE ROYAL FOREST OF DEAN. HE’S HAD MORE RESURRECTIONS THAN (*PLEASE INSERT YOUR OWN PUNCHLINE*). WE’VE COLLECTED THE FOLLOWING JOLTERISMS AND WANT TO COLLECT THEM ALL BEFORE THEY GO THE SAME WAY OL’ JOLTER DID, SO CONTACT US WITH YOURS. Then a muffled voice came from inside the henhouse. ‘Im dreamt one night ‘im were jud, an’ when ‘im woke up in the marnin’ and found the blinds down ‘im thought it were true, zo ‘im went and put ‘is black suit on ta the vuneral. “I cosn’t git me donk under thic bridge, ‘is yurs be too ‘igh,” complained Jolter. “Dig a little trench under the bridge, Jolter,” advised a friend. Jolter bought himself a bike but couldn’t reach the pedals, so he let the tyres down. Jolter stuck his wooden leg out the window to see if it was raining. Jolter had on one brown shoe & one black. “Oy, I got another pair at wum like these,” he said. Jolter went wum drunk on the cy wun night an went strait ta bed. Is missus coudent wake im in tha ‘erly marnin zo er left tha curtins crossed in thayer bedrum. Jolter woke up wi a zore yud in tha dark and thought im must be dyud, so im put is best zuit on, ztumbled down th’ooden ‘ill an went ta goo owt tha kichin dar. “Where’s think thou be gwan in thic zuit,” opined ‘is missus. “I be off to me vuneral missus,” zed Jolter. 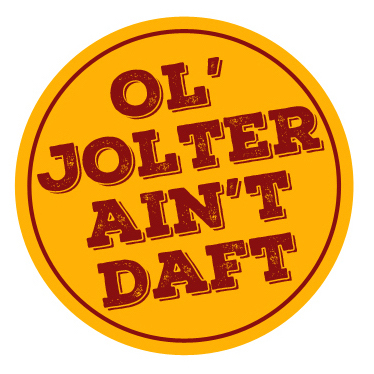 Jolter and his missus were in bed one night during the war. She wakes him up when the German bombers fly over and says to him, “Jolter, Jerry’s over”. Jolter says, “Never mind, mop it up in the marnin”. Ol’ Jolter was stuck in a snowdrift, so he went wum to get a shovel and dig himself out. One day Jolter was riding a horse. He wanted to see what he looked like, so got off to take a look. Jolter kept his chickens in a coop by the train track. They kept getting out and getting hit by the trains. So Jolter put the train timetable up in the coop, then it’d be their fault if they got hit. Ol’ Jolter went to bed with his tape measure, so he could see how long he slept for. Jolter got up for breakfast. “What’s for breakfast?” he asked his mother. “Well, there’s no bread,” she replied. “I’ll have toast then,” he said. Ol’ Jolter didn’t like getting his yud wet so when ‘im left work on a rainy afternoon ‘im would grab a sheet of zinc and use it like a brolly. Iz mates would always laugh and say silly bugger, but ol’ Jolter had the last laugh when ‘im ad built a new zinc shed at the bottom of the garden. “Lock the key and bring the door up, her yunt coming now, sure to,” said Jolter to one of his children when they were waiting for the arrival of their mother. ‘Im used ta walk backwuds ta work ta kid izzelf ‘im were comin’ back wum. One night Ol’ Jolter was up by St White’s Hill with matches, hunting about the grass at the side of the road. Three chaps come along and asked him what he was looking for..
“Alf a sovereign,” he replied. Jolter told his mates he had a new job with 100 men under him. Very impressed, they asked Jolter what the job was. “I’m a Sexton at the church,” said Jolter. From Dave Price: The Sun or the Moon? Jolter was standing in the bus queue in Coleford in th’early evening when a ‘ooman comes up to him. “Is that the Sun or the Moon up there in the sky?” asked the woman. Going into Jacobs in Cinderford, Jolter looked around at the men’s clothing section. The assistant approached him and asked if he needed any help. “I be looking for a pair of mole skin trousers for work, he replied. “What size will you be looking for, sir?” the assistant asked. “What’s the difference between wages an’ salary?” an apprentice asked the foreman. Jolter said that the first ladder he went up was down a well. With a shopping list in his hand he went to the grocery store and asked for a pound of Calico and a yard of butter.